This is the perfect accompaniment for many grilled dishes. 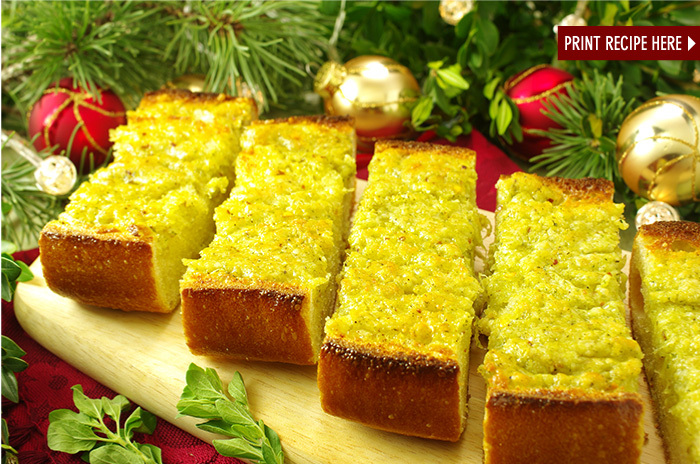 The bread slices are also nice as a casual appetizer to serve your guests while they wait for dinner. 1. Preheat the oven to 400°F. Combine the dip, thyme, and oregano in a small bowl. Blend well. 2. Cut the bread in half lengthwise, and spoon half the mixture on each half of the bread. Spread it out evenly with a spatula. Sprinkle the bread with the Parmesan cheese. 3. Cut the bread halves about three-quarters of the way through into 2-inch-thick slices. Make sure that you haven’t cut all the way through, and the crust is still holding the bread together. Wrap each half tightly in aluminum foil. 4. Place the loaves on a baking sheet and bake for 10 to 15 minutes. Remove from the oven and remove the foil. Turn the oven to broil and put the bread under the broiler about 3 inches away from the heat for 1 to 2 minutes, or until nicely browned. Place on a platter or in a napkin-lined basket and serve immediately. This may be prepared up to 8 hours ahead through Step 3 (but do not preheat the oven) and refrigerated. Remove from the refrigerator 30 minutes before baking. This all-purpose spread is served with slices of crusty bread at Bottega, the popular restaurant in California’s Napa Valley. 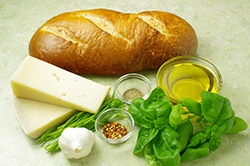 It is a pleasing alternative to butter or olive oil as an accompaniment for bread. 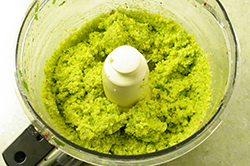 And it comes together in just minutes in the food processor. Serve it in a ramekin with a small spoon. This is the base for artichoke dip, or delicious garlic bread. So you may want to double the recipe and freeze one batch to use later. 2. 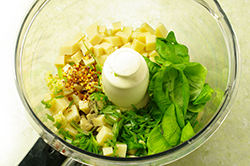 Transfer the dip to a sealed container and refrigerate for up to 2 weeks. Bring to room temperature before serving. Use just one of the cheeses to simplify. Double the recipe for a large party. Serve the dip on toasted slices of French baguette.